We get a lot of phone calls about repairing off-brand projectors. It’s hard pill to swallow for most people, but these off-brand projectors aren’t worth repairing. They’re not worth the $800 they sell for, and certainly not the $4000 they list as MSRP. 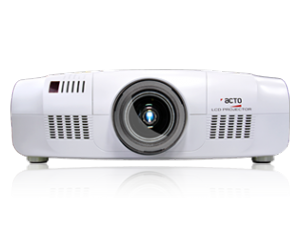 The biggest issues with off-brand projectors stem from build quality & HDCP compliance. Customers will call, complaining about how the HDMI port doesn’t work, how the fan is rattling, or the image is too dim. Often times, these projectors will outright fail. To make matters worse, spare parts are not available. The only thing we can do is sell them a refurbished projector. They call them White Van scams, because back in the day, scammers would sell these subpar goods from the back of their vans. These days they have the internet at their disposal. One of the biggest scammers on the web, HDProjectorWorld.com just closed its site. Consumers can breathe a little easier. With that said, one should always purchase vigilantly. If the deal seems too good to be true, don’t purchase that projector. Is it listed on projectorcentral.com ? Does it claim to have every feature known to mankind like 3D for the low price of $299? Does it claim to have full 1080P HD resolution, but upon closer inspection, outputs a low resolution, 4:3 picture? Is the lens assembly made out of plastic? We will expand this list as we hear more names.